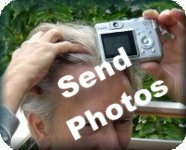 Are there any problems with traveling immediately before or after my hair transplant? Patients often travel from other parts of the country, not to mention the world, to receive a hair transplant. Nowadays traveling to Florida is easy and comfortable, especially because Dr. Shapiro's offices are near two major airports, Fort Lauderdale International and Miami international. Many people also travel from South America or the Caribbean due the expertise of American doctors such as Dr. Shapiro. When they are traveling from afar they may visit the many attractions in Florida - you can see our travel pages for some suggestions. However, if there is not much time to spend in Florida; if the patient needs to get back to work or family immediately, they can leave the very next day or even the same day. Changes in aircraft cabin pressure will not negatively impact sutures and grafts. Driving after the procedure is completely safe and many of our patients drive in and drive home the same day from north or west Florida such as Orlando, Tampa, Naples, Fort Myers, Jacksonville, or Port St. Lucie. As far as follow up the suture from the donor area can be removed two weeks later with a disposable sterile suture kit provided by our office by the patient, patient's spouse or any local medical assistant or nurse. And, of course, you can call our office or our registered nurse 7/24 with any questions once you return home.